Yushima-Seido is surrounded by a rammed earth wall. 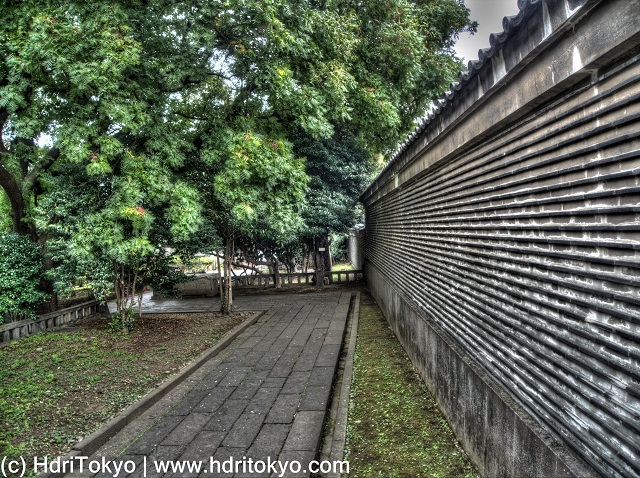 This is a view of a path along the wall. When I visited there , leaves of that tree had started changing color. Shooting date : October 23 , 2015.